Venture into the wild heart of Borneo. 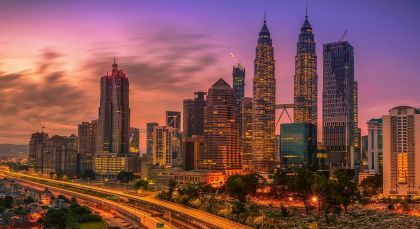 Verdant rainforests, exquisite natural wonders and exotic wildlife await you on this private Malaysia tour. Discover clear blue waters and bottomless valleys in the Sarawak region, befriend the curious orangutans of Sandakan, feast your eyes on beautiful heritage buildings, and savor some of the freshest catch of the day and exotic jungle fruits. Your tailor-made Malaysia vacation is a highlight in itself! 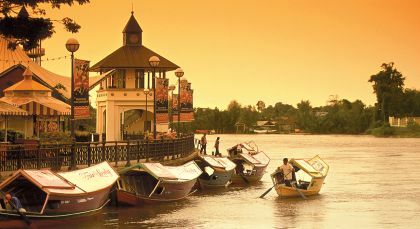 Kuching is Sarawak’s beautiful capital city. Like most other Malaysian cities, it is a delightful mix of the traditional, the colonial and the modern. Gunung Mulu National Park is a World Heritage site loaded with diverse and exquisite natural wonders. Kota Kinabalu, or KK as it is more popularly known, is the state capital of Sabah. Expect a heady cocktail of cultures, cuisines, and lifestyles. 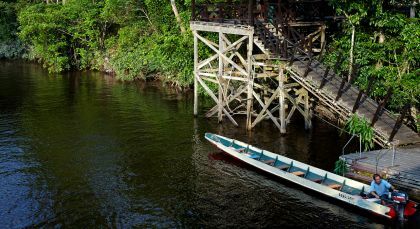 Abai is a quaint little village on the edge of Malaysia’s second longest river, the Kinabatangan. Take an hour long picturesque boat ride from Sandakan and dock in the lap of Sabah’s thriving biodiversity. 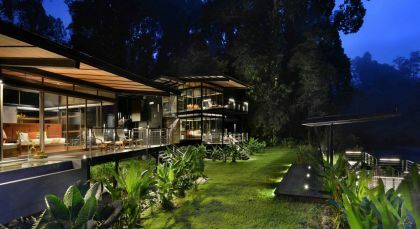 Embrace the forest life at Abai Jungle Lodge. 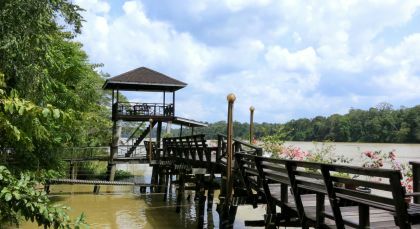 Take a picturesque boat ride to this lodge raised on stilts atop Kinabatangan River. After a scrumptious lunch, set out on a leisurely cruise along the river enjoying the lush green scenery and a light breeze while you sip on piping hot coffee. As the sun sets over the horizon, you will be awestruck by the beautiful display of fireflies, dotting trees like Christmas lights. Dock for an authentic dinner with a view, and wander through the walking trails under the moonlight sky. The following morning, rise early for a cruise that takes you past dense mangrove forests to Pitas Oxbow Lake. If you are lucky, you might spot spectacular Pygmy Elephants enjoying a morning swim. After a quick breakfast, spend the day strolling through beaten pathways of a quaint little village, meeting Kinabatangan’s largest ethnic group – the Orang Sungai. You can even help the locals plant a tree. After a sumptuous lunch, it is time to return to civilization. Sukau is a tiny fishing village and a rare pearl situated off the usual tourist track. 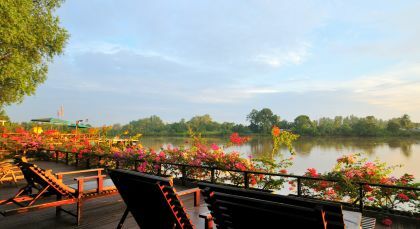 Tucked along the Kinabatangan River, Sukau offers glimpses of Borneo’s rainforests and swampy marshland. Danum Valley is home to a host of exotic and endangered animal, bird and plant life, this is pristine jungle territory overshadowed by the towering Mount Danum. Explore a dynamic million year old rainforest at the Danum Valley Conservation Area! 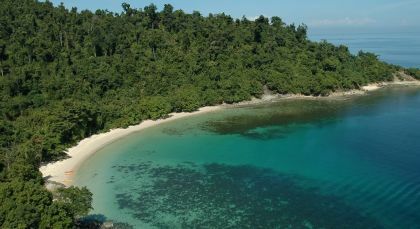 On yourfirst day, set out on a two and a half hour drive, including 2 hours on a gravel track, from the Lahad Datu Airport to reach the charming Borneo Rainforest Lodge. After checking in, you will trek on the stunning Nature Trail and Canopy Walkway. End your day with a one-of-a-kind night safari in an open jeep or truck. The following morning, wake up to birdsong and the call of the Bornean Gibbons.After breakfast you can trek to Coffin Cliff/Kadazandusun, an ancient burial site. Take a refreshing dip in a natural jacuzzi and return to the lodge for lunch. In the afternoon, choose from a guided jungle trek or water tubing down the river if the weather permits. A nature walk after dinner will allow you to absorb the forest diversity, before a restful sleep. On your third day, visit the scenic Fairy Falls and Serpent Falls. After lunch, you have the option of enjoying a trek along Segama River or observing the surrounding forest from the comfort of your chalet, followed by dinner and sleep. On your final day, set out on an early morning trek, or simply relish the panoramic view of the spectacular forest. After lunch, your chauffeur will pick you up from the lodge and transfer you to Lahad Datu Airport. (Full Day; Private & Shared activities; All meals included; Fitness level: Easy; Please bring good trekking shoes and a rain jacket. Activities can be modified based on fitness levels/interests). Kota Kinabalu Beach is a mystical experience with its majestic beauty and clear blue waters. This part of the world boasts a string of beautiful beaches, each more mesmerizing than the other.